E Ink Spectra is the first three pigment electronic ink offered in mass production and is available for retail and electronic shelf tag labels. EPDs using Spectra offer the same high-contrast, sunlight readable, low-power performance attributes of our other display types - now with a pop of color. The first generation of Spectra features black, white and red or yellow pigments, and we expect to release additional colors in the future. 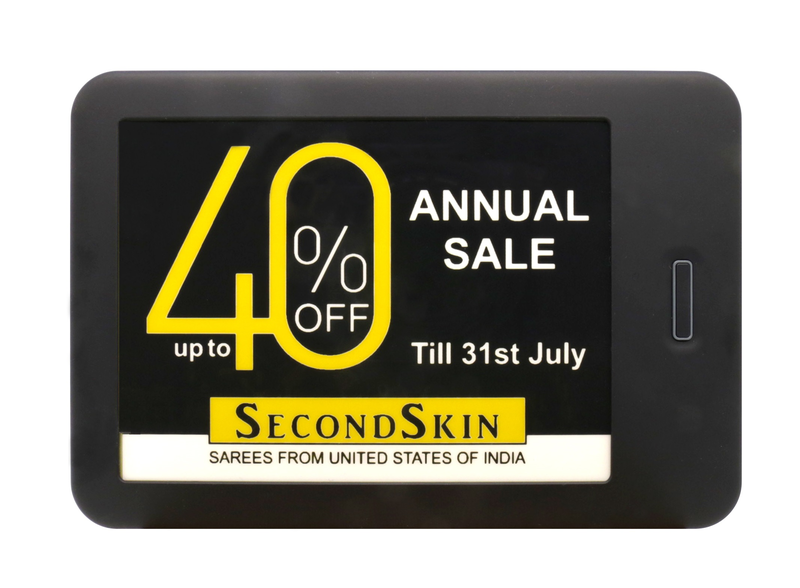 E Ink Spectra has been optimized for the electronic shelf label and point-of-purchase signage markets. Architectural material, interior design, furniture, art installation, retail point of promotion (POP), way-finding, notice indicator, fashion industry. 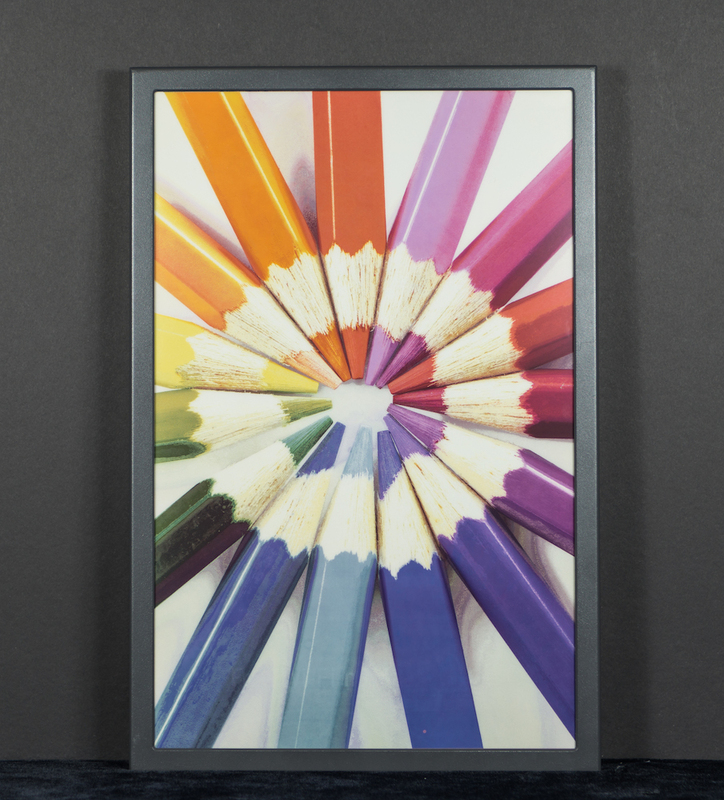 Color ePaper displays enabled by E Ink Triton deliver high-contrast, sunlight readable, low-power performance that further closes the digital divide between paper and electronic displays. Current E Ink Triton displays offer 16 levels of grayscale and are capable of displaying 4096 colors. Color displays made with E Ink Triton enable ultra low power and high mobility devices with a paper-like experience, ideal for image-rich information applications such as charts, graphs, maps, photos, comics and advertising. And just like E Ink's monochrome ePaper products, Triton's crisp text and detailed color graphics are fully viewable in direct sunlight. An E Ink Triton Module is comprised of a TFT backplane, Ink layer, Color Filter layer and Protective Sheet. E Ink offers a Triton color module with 800x600 color pixel resolution, 16 levels of grayscale and 4096 colors. See our standard E Ink Triton modules. 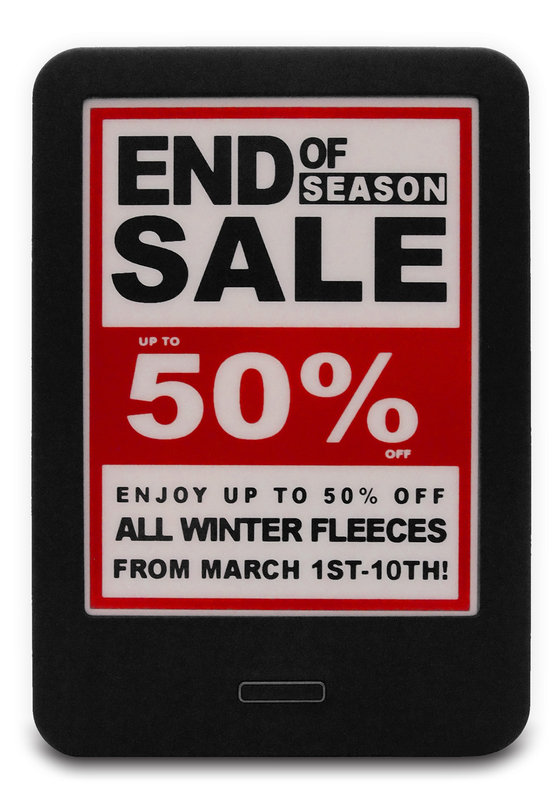 E Ink Triton Displays are ideal for a variety of dynamic content applications such as indoor Signage. 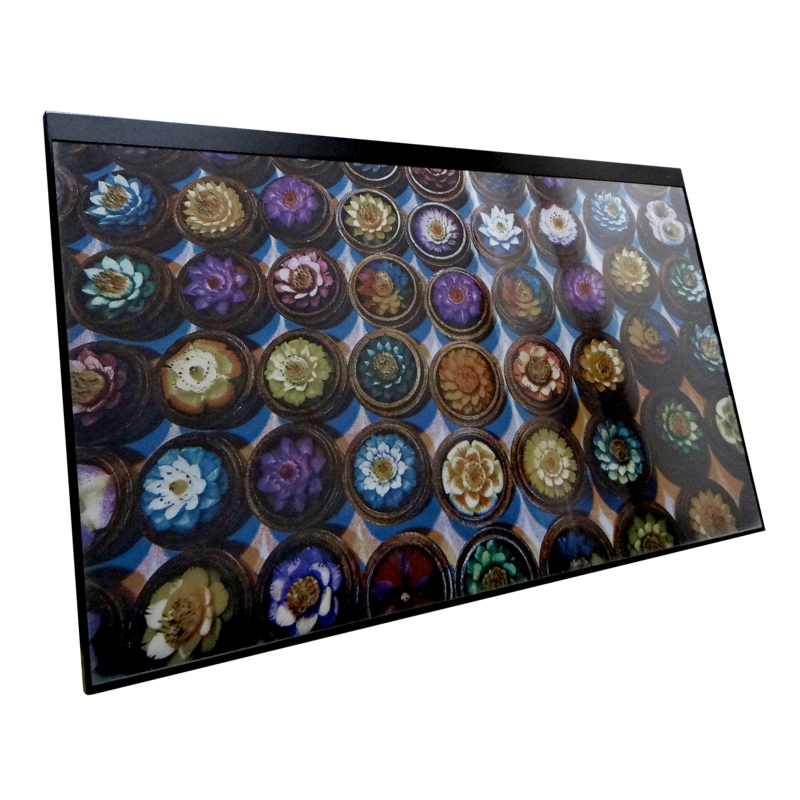 Advanced Color ePaper (ACeP™) is a high quality, full color reflective display. In the ACeP™ system, the ink can produce full color at every pixel, without the use of a color filter array (CFA). ACeP™ achieves a full color gamut, including all eight primary colors, using only colored pigments. The display utilizes a single layer of electrophoretic fluid which is controlled using voltages compatible with commercial TFT backplanes. The fluid can be incorporated into either microcapsule or Microcup® structures. The richness of the colors is achieved by having all the colored pigments in every picture element (pixel) rather than the side-by-side pixel colors achieved with a CFA. This eliminates the light attenuation, which can be quite significant. ACeP™ maintains the ultra-low-power and paper-like readability under all lighting conditions of regular E Ink ePaper. Not yet commercially available, the initial target application for ACeP™ will be for digital signage applications.